Take control of one of the most decorated Monster Jam trucks of all time! Introducing the all-new, official 1:24 scale Grave Digger RC! Dig in and drive this heavy-duty monster truck to the max to perform epic stunts, crazy crashes and brutal bashes! 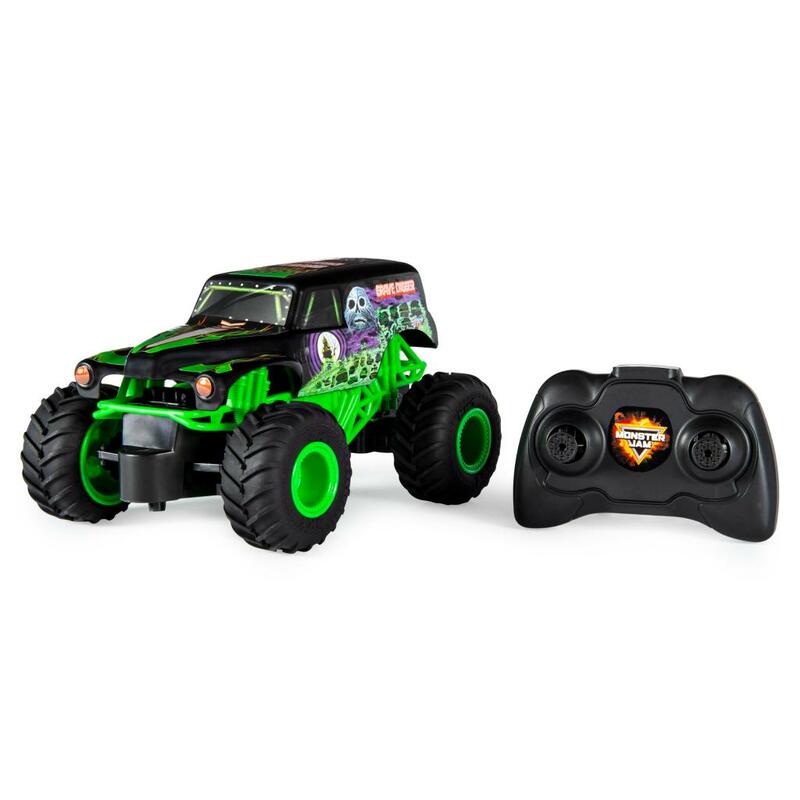 Featuring 2.4 GHz, you can race up to 6 Monster Jam trucks at a time! Now it's even easier to host your very own Monster Jam rally with friends! 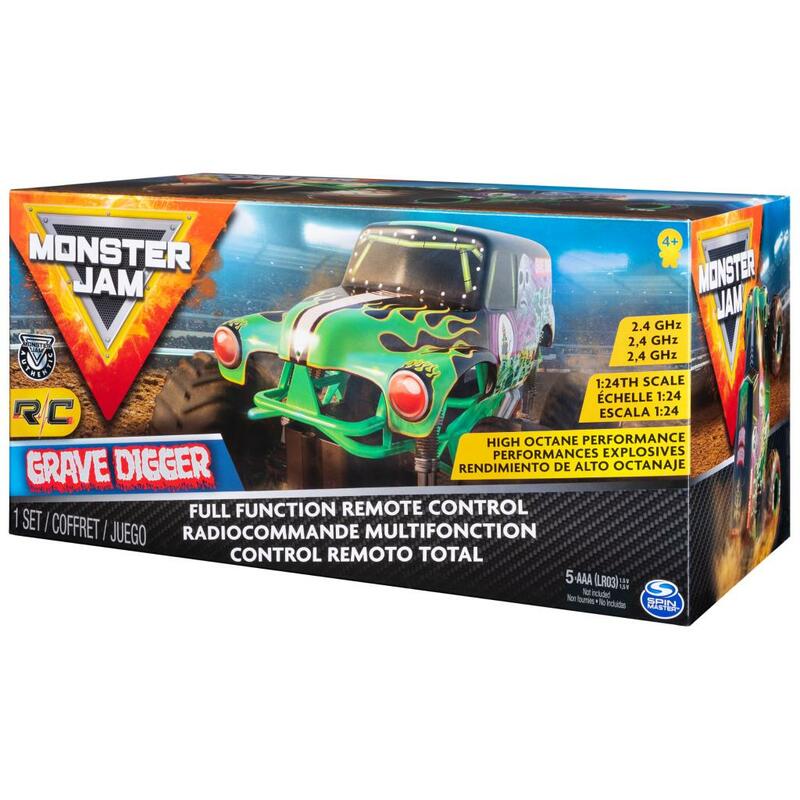 And with a range of up to 250 ft., this 1:24 scale Grave Digger RC can dig in anywhere – make the world your very own Monster Jam arena! 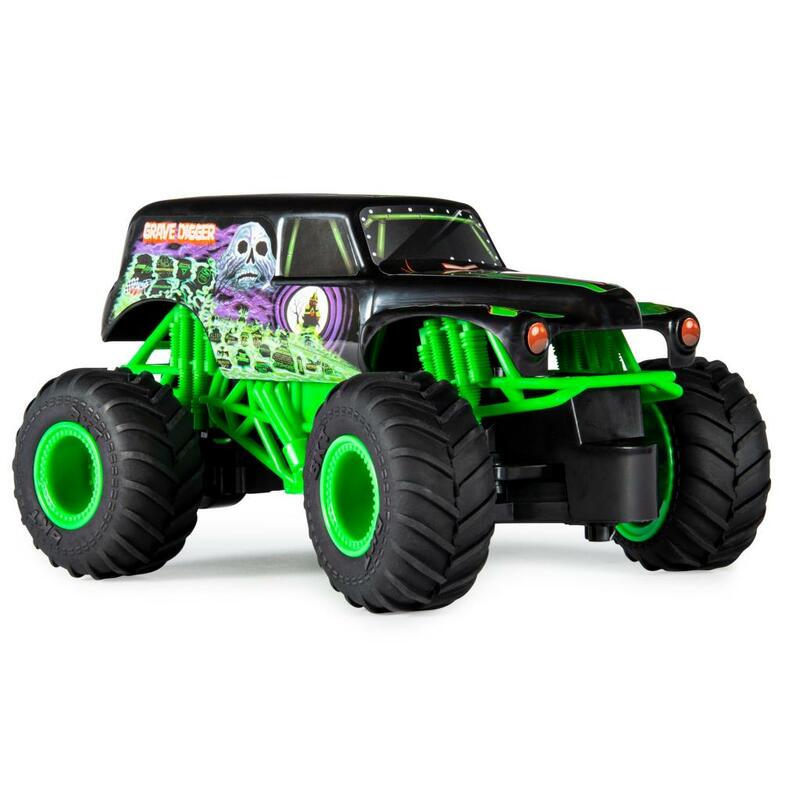 Authentically styled, this realistic Grave Digger remote control monster truck comes with official BKT Tires and a look-alike chassis, making sure this iconic truck always delivers big fun! Nothing will stop it from dominating the Monster Jam circuit! 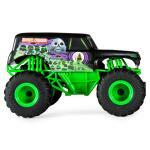 This Grave Digger RC is like driving the real thing! Perform high-octane stunts like big air, donuts, cyclones and more! You've never been this close to the Monster Jam action than with the official, all-new Monster Jam 1:24 scale Grave Digger RC! 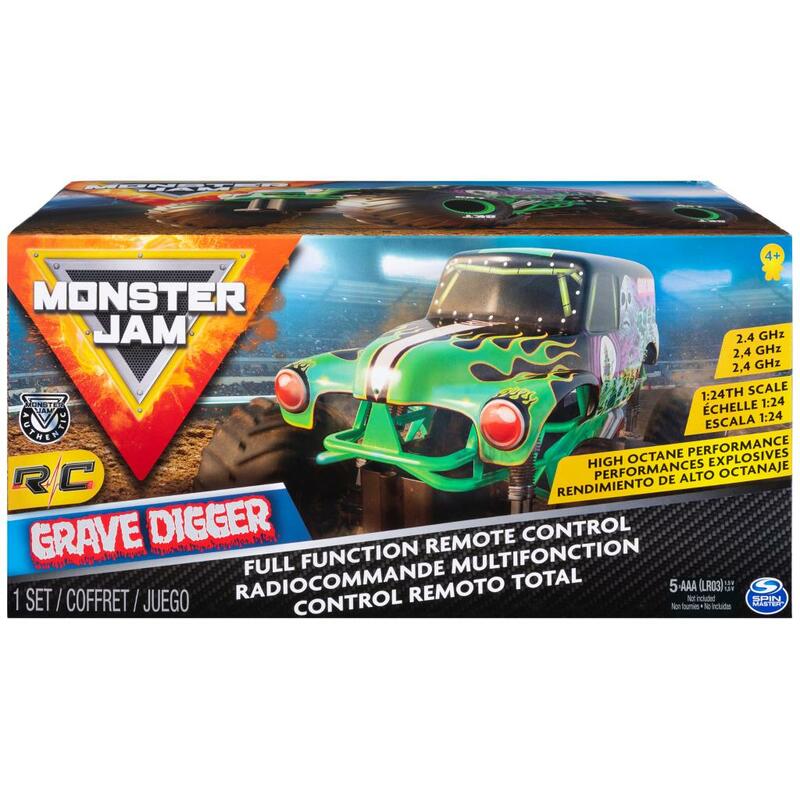 OFFICIAL GRAVE DIGGER: This realistic 1:24 scale Grave Digger RC truck is built to perform epic stunts, crazy crashes & brutal bashes! Requires 5 AAA batteries (not included). 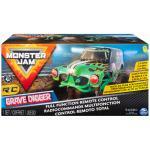 REALISTIC RC TRUCKS: Monster Jam trucks have power, attitude, excitement and action! They feature authentic graphics, oversized tires, and highly realistic details. For boys & girls ages 4 and up. TOP WISH LIST GIFT: Our monster trucks toys make a perfect holiday or birthday gift for boys and girls age 4 and up. Kids will love the high-octane fun of their own realistic monster truck replica!